Entry regulations: Do I need a visa or anything else for my visit of beautiful East Frisia? 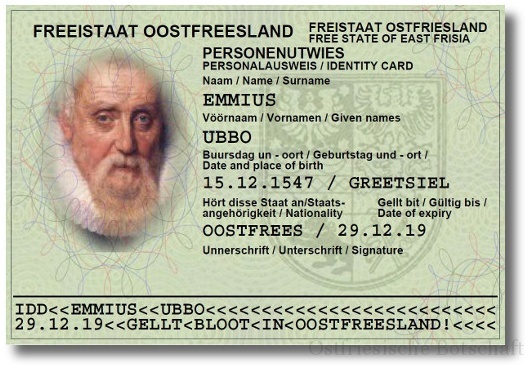 East Frisian identity card: each East Frisian is permitted to apply for an East Frisian identity card. And all the friends of this beautiful country, too! 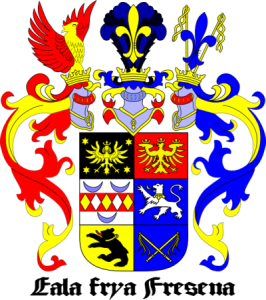 Territory: Where lies East Frisian anyway? And where not? "Nett harr ik dat Swien van't Freten of, daar gung he mi dood."